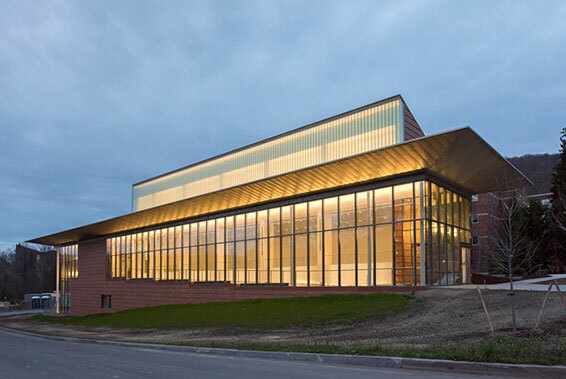 The Alfred Ceramic Art Museum at Alfred University houses nearly 8,000 ceramic objects ranging from small pottery shards recovered from ancient civilizations to modern and contemporary ceramic art. The primary mission of Alfred Ceramic Art Museum is to collect, preserve, conserve, research, interpret and exhibit ceramic art for aesthetic and educational purposes. The museum is a research and teaching facility, which offers an engagement in cultural history via ceramic art to the student, artist, scholar and collector as well as the local, national and international community. The Museum is located on the northeast corner of Main and Pine Streets on the Alfred University campus. View more information on exhibitions or visiting the Museum. Museum membership information is available online, or by contacting Alfred Ceramic Art Museum, Membership Office, Alfred University, Alfred, New York 14802. Benefits to members include free admission to the museum, 10% off catalog purchases, a subscription to the annual Museum newsletter, "Ceramophile," and invitations to celebrate special exhibitions and educational programs, and invitations to participate in Museum-sponsored trips. For more information phone 607-871-2421 or email us.